In this article we will look at how to stop unwanted emails and how to protect your email address from falling into the wrong hands, in the first place. As someone who is fairly knowledgeable about computers and the internet, people often come to me with their PC related problems. I frequently hear complaints from those that feel they are being buried under all the spam. 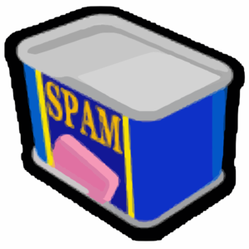 Studies show that 90% of all emails are currently unwanted spam emails. The problem is that sending out spam is very cheap. If even 1 in 500,000 spam emails convert into a sale, it's profitable for spammers to send them out. Unfortunately there is no way to stop spam completely. There are however some simple methods that will make the problem easily manageable. Spammers can't send you emails, if they don't have your email address. There are many great freebies, that you can get online, if you are willing to give them your email address. Examples would be ebooks, downloadable vidoes and use of social networking sites. The problem is that even if the company you give your email to is legit, they may sell their email database to someone who will send you unwanted emails. What I do is, to use an Yahoo email box specifically created for catching spam. I can validate the email address, but that's all I use it for. If that box gets thousands of unwanted emails, I don't care. There are programs called web spiders that go through the entire internet looking for email addresses. If your email address is on an web page anywhere, they will find it and add you to their list. You can test whether your email address is published anywhere, by entering it into Google Search. If you find that it is published, try to remove it. Web spider can also be used to collect domain names, from web site addresses. Spammers then send emails to generic email addresses, to see if they exist. Examples of generic addresses are: info@, contact@, contacts@ , mail@, sales@, enquiries@, root@, home@ , webmaster@. So don't use those addresses. There are many spam filters out there. They make handling unwanted emails much easier by separating suspicious emails into the spam folder. Even the best filters are however not full proof. Some spam will still land in your inbox and some legit emails in your spam folder. You need to keep an eye on your spam folder. You should be able to spot legit emails without opening them. I do not recommend getting software that specifically deals with filtering unwanted emails. Instead I would suggest getting a security suite that includes a very good spam filter. In my opinion Norton Internet security 2012, is currently the best option. PC Magazine did a comparative chart of all the new security suites and Norton Internet security 2012 scored the highest in the spam filter as well as the over-all security categories. With Norton you manage your spam filtering using a bar, in Microsoft Outlook. Norton Internet security 2012 can be bought from Amazon and either downloaded or shipped to you. Norton Internet Security delivers powerful protection that’s proven to stop online threats before they can do any damage and without disrupting your work or play. Which security suite would you recommend for spam email management? If you have a suspicious email in your inbox, move it to the trash folder. Then delete it without opening the email. Do not respond to spam emails and don't click on the unsubscribe link in a spam email. Spammers don't know whether an email address is in use or not. If you respond in any way it makes you a higher priority target for spam. I personally had a unpleasant experience with a spammer hacking my Hotmail email account. They sent their nasty marketing emails to everyone on my contact list. After this happened I immediately changed my password, then I contacted everyone on my email list, told them what happened an asked them to delete those emails. It's harder to hack an email account if you use a longer password also use numbers, capital letters and other less frequently used characters. You should also change your password every 3 months. Though not many people do that. If nothing works. Open a new email account and stop using the old one. in 2005 the CardSystems case resulted in increased attention to the issue of data breach. It was the first high-profile case where card issuers withdrew the right to process cards. The TJX Case was one of the largest data theft cases so far. Over 45 million credit cards were affected, along with driving licences and other ID.